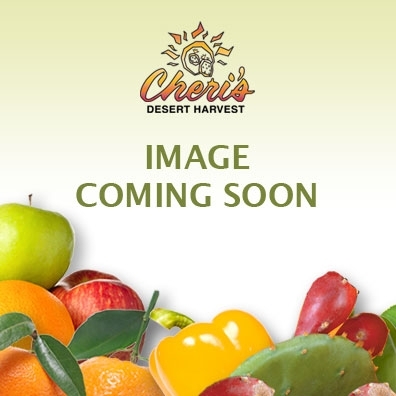 Prickly Pear Agave Nectar is our newest addition to the syrup line. 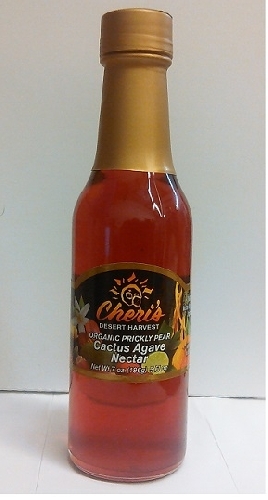 Using Organic Agave syrup and our Organic Prickly Pear Juice we have created a product in the tradition of our Prickly Pear Syrup that will satisfy your craving for Prickly Pear and gives you all the added benefits of Agave. Plate according to Chef demo. Mix water and sugar to resemble wet sand. Add pecans and cayenne and mix thoroughly. Lay on a roasting rack on a sheet pan and roast in a 350 degree oven about 7 minutes. Heat vinegar and agave nectar in small sauce pot with shallots, garlic, thyme, pepper corns then let cool. Remove peppercorns and thyme and discard. Blend the remaining ingredients in a high-speed blender while slowly adding canola oil. Adjust seasoning as needed.